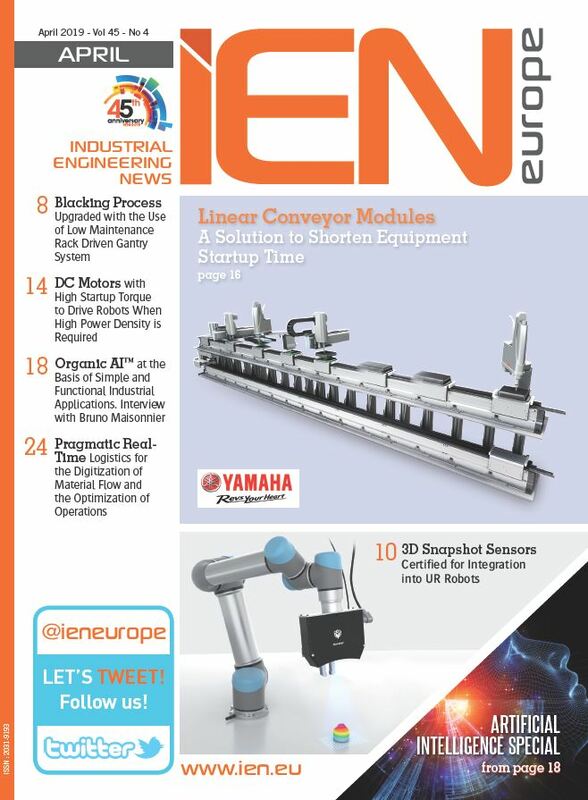 Mitsubishi Electric has worked with system integrator TQC to build a new production line for a customer where robots and automation have been combined with an OEE monitoring system to ensure assembly and testing work is carried out as efficiently and effectively as possible. When working towards optimising production efficiency, the worst-case scenario for this manufacturer is for an assembly to reach testing with missing parts or inconsistent screw torque and therefore fail the test procedure. In case of a failure the assembly would have to be disassembled and examined as well as the cause of failure investigated, then rectified. All of which is both time consuming and very costly. To avoid this scenario, the product being assembled has been designed specifically so that it can be manufactured and tested using a combination of robots, automation and people. At the start of the line some of the initial parts are positioned on a pallet by human operators using a pick-to-light guided operator bin system and cameras to ensure correct parts are picked and positioned. 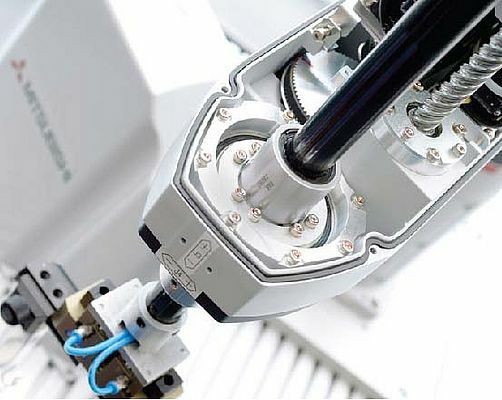 Screwing the parts down and adding O-rings, lubricant and additional small components is then carried out by a pair of Mitsubishi Electric articulated arm robots working in tandem. Robots are ideal for these procedures simply because they are faster and more consistent with this type of operation. The robots are Mitsubishi Electric’s popular MELFA Series units, offering extended articulation, dynamic movement and fast cycle times. These characteristics are combined with a class leading degree of accuracy and repeatability, ensuring the highest levels of productivity can be achieved. An important feature for the integrator is the modular nature of the control components. The robot controllers, for example, are mounted directly on the same physical backplane as the Q series PLC that runs the entire production line. This not only reduces purchase costs for the hardware, but also saves space and simplifies integration and commissioning work. The production line was designed and installed by TQC using a complete package of components and software from Mitsubishi Electric including drives, HMIs, networking and operational software in addition to the robots and PLCs.